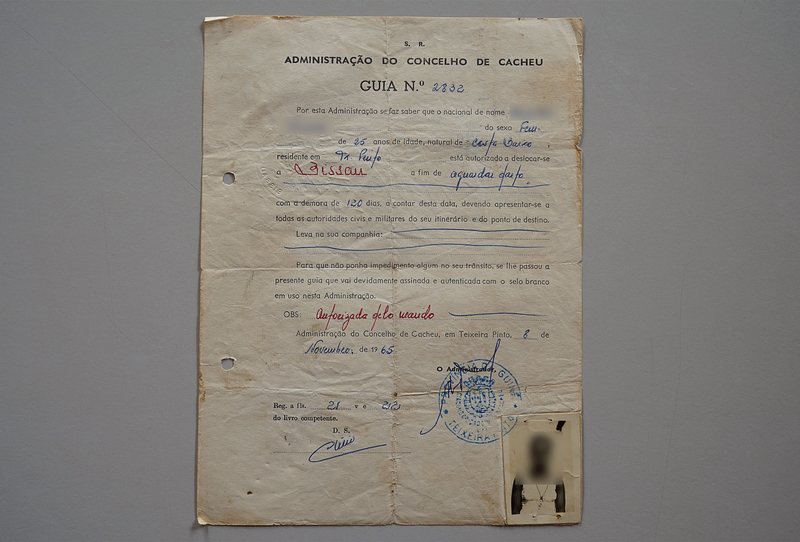 I researched at the National History Archives in Bissau, where I had the opportunity to view official documents left by the Portuguese colonial administration. The collections of the National History Archives in Bissau, primarily related to the colonial administration, may be described as a political pandemonium of empire and otherness, where the colonial apparatus manifests itself as an hierarchical and bureaucratic construction, which favours above all, the enforcement of a legal system focused on exploratory labour activities. Thus, the archive may be used as an historical resource only to a certain extent because it embeds all efforts of control upon Guinean nationals made legal by the Portuguese colonial rule while remaining silent about the individual life paths. Non-historicised Histories does not refer to an existing Western colonial historiography. Instead, I think that by becoming aware of its narratability, we will be able to tear its deceptive constructs apart and learn to reject the Western hegemonic paradigm. Past and upcoming research trips were made possible by the Calouste Gulbenkian Foundation, the Institut für Auslandsbeziehungen, the Goethe-Institut Senegal and the Berlin Senate for Culture and Europe. Non-historicised Histories nimmt keinen Bezug auf die vorhandene westliche Kolonialgeschichtsschreibung. Stattdessen denke ich, dass die Stärkung des gemeinsamen Bewusstseins für ihre Erzählbarkeit, uns die Täuschungen deren Konstrukten zerlegen lässt. Am Ursprung dieser Überlegung steht die Recherche am Historischen Nationalarchiv in Bissau, das ich in erster Linie als ein politisches Pandämonium, gefüllt von Bildern der imperialistischen Festakte und der angeblich wissenschaftlichen Beobachtungen, erfuhr. Dort sah ich ebenfalls Dokumente aus der damaligen portugiesischen Kolonialverwaltung an, und verstand, dass der Archivbestand selbst über die einzelnen Personen schweigend ist und, dass nur der Fokus auf die individuellen Lebenswege uns annähernd die Zwangsverhältnisse enttarnen lässt. nicht darüber aufklären), ist ebenfalls nicht ausreichend. Ich denke, dass sich bei einer Aufarbeitung im Vordergrund um das Zuhören handeln muss, das uns über die Bemühungen einzelner Personen und den Widerstand gesamter gesellschaftlichen Gruppen mehr erfahren lässt. Meine Hoffnung dabei ist, dass indem wir geschichtliche Abfolgen ganzheitlich ins rechte Licht rücken, können wir lernen, die westliche hegemonische Sichtweise und die damit verbundenen Machtverhältnissen abzulehnen. Unabhängigkeitsidealen in Guinea-Bissau verbreitete. Damit und im Gegensatz zu meiner Recherche am Historischen Nationalarchiv, das die koloniale Verwaltung umfangreich dokumentiert, blieben mir die Bestrebungen der guinea-bissauischen Unabhängigkeitsbewegung um ein befreites Land unzugänglich. A consulta de documentação administrativa portuguesa nos Arquivos Históricos Nacionais de Bissau (sob tutela do Instituto Nacional de Estudos e Pesquisa, INEP) permitiu-me apenas vislumbrar aspetos de percursos de vida de nacionais guineenses mas sobretudo estratégias burocráticas, impostas pelo regime colonial, de controlo sobre as populações locais. Tais documentos exibem medidas tomadas pelo poder colonial para controlo sobre o quotidiano de guineenses e, com isso, neles sobrevive o exercício da supremacia, comum a construções geopolíticas imperialistas. A título de exemplo refiro as Guias de Marcha, documentos emitidos pelas autoridades locais portuguesas, que autorizavam as deslocações de nacionais guineenses dentro do território da ex-colónia, e que garantiam, assim, a vigilância sobre a localização de qualquer indivíduo. O sistema classificativo de organização territorial, gerado pelas autoridades portuguesas, exibido nos retratos fotográficos de outros documentos administrativos, as Cadernetas Indígena, relembra a fotografia tipo mugshot, usada para alocação de processos criminais. Mesmo que imbuídos em medidas sistematizadoras, estes retratos geram um acesso a reminiscências da individualidade dos sujeitos fotografados, ainda que politizada ou, pode mesmo dizer-se, colonizada. É também neles que, silenciosamente, sobrevivem imposições da administração portuguesa sobre a pessoa retratada e que, por isso, nos deixam deduzir uma colonização interiorizada. Apenas a subversão de tais documentos, quero com isto dizer, a rutura da correlação em que existem com o arquivo colonial, permitirá uma reflexão sobre a condição subalterna dos indivíduos documentados e com isso a elaboração de histórias neles latentes mas não escritas. A apresentação destes documentos com a recorrência a estratégias narrativas que reivindiquem verosimilhanças alternativas, existentes à margem desse mesmo arquivo, despoletará um discurso sobre a ação autónoma individual, que, só mais recentemente, tem sido considerada pela historiografia colonial. In the making of the film Max Tischler, I collaborated with Raimund Wolfert, author and publisher in the field of international liberation movements of the 20th century, to highlight similarities between scientific and artistic studies. 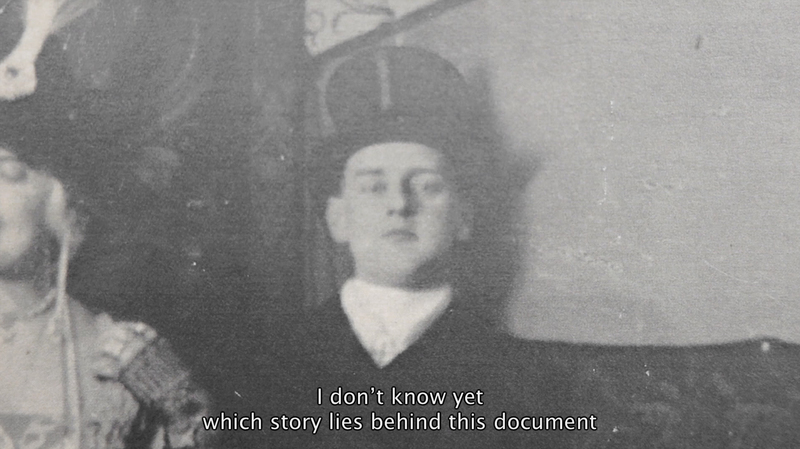 The film is an insight into Raimund’s research on Max Tischler (1876 – 1919), an employee of the sexologist Magnus Hirschfeld at the Scientific Humanitarian Committee. Raimund’s participation is not only a scientific contribution but also a language-based performative act, shaped into a voiceover and intercalated by moments of silence. The film delves into the historic research on Max Tischler. I accompanied Raimund’s research steps, such as visits to the Brandenburg Main State Archive, where we viewed documents mostly from the Regional Finance Bureau Berlin-Brandenburg, including asset declarations of Max Tischler’s siblings, property inventory, pension records, notice of confiscation as well as correspondence between the Asset Reclamation Office and the Secret State Police, the Higher Finance Pay Office, the German Reichspost, bailiffs, notaries and home owners. The viewing of these documents was not included in the film and stayed as part of the historic research. It is at this point, that the film follows a different path from the research itself: it does not list findings or results. Instead, it focus on Raimund’s commitment and the compelling forces that drive his independent studies further. 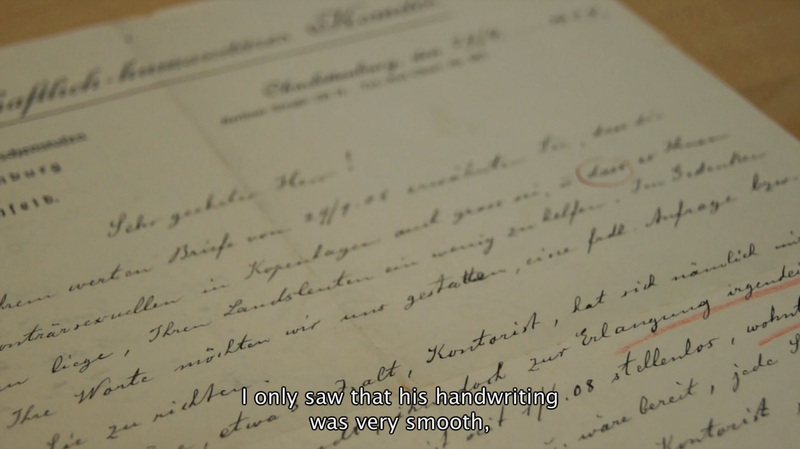 The film therefore does not intend to evaluate Raimund’s research on German-Jewish history but to depict research itself as a continuous, at times, introspective process. The film bears resemblance to long shots of cinematic settings, consciously underlining the absence of a documental plot. In fact, if we may speak of a script, it began to exist only during the making of the film itself, when Raimund and I initiated a dialogue and, finally, formalised it in the process of editing. The images refer to specific moments of the research process, such as visits to the Magnus Hirschfeld Society, to the Jewish Cemetery in Berlin Weißensee, to the National Archives and the Royal Library in Copenhagen, but they do not depict them as events. By refusing sequence, the relation between image and text is not one of cause-and-effect but, instead, it relates to rather non-narrative film forms. The blank screen or the absence of image refers to the hiatus experienced by many historians, when faced with undocumented events, and contrasts with the examination of legacies. 1 – schwarze Leinwand – gewünschte Tonlänge: 1:11 min. ///// Wenn Du Dich intensiv und über längere Zeit mit einem Menschen beschäftigst, /// der bereits verstorben ist und Briefe oder Tagebücher hinterlassen hat, /// näherst Du Dich ihm auf eine besondere Art und Weise. Die Beziehung, die Du zu ihm entwickelst, kann sehr eng und exklusiv sein. // Du liest, was er über sich und sein Leben mitteilt. // Du fragst Dich, warum er dieses oder jenes getan hat, /// und Du stellst Dir vor, was er wohl unter anderen Bedingungen, in einer anderen Situation, getan hätte. 3 – Das dänische Nationalarchiv – gewünschte Tonlänge: 1:26 min. humanitären Komitees, gefunden, /// sie ausgewertet und einen Artikel über sie geschrieben. When you intensely delve into a person’s life for a long period of time, a person who is already deceased and has left behind letters or journals, you come closer to him in a special way. The relationship you develop with him can be very close and exclusive. You read about what he shares about himself and his life. You ask yourself why he did this or that and you imagine what he may have done in other circumstances, in another situation. The person almost comes alive for you, a kind of a companion; only he is not with you. You may sometimes think that he has just gone away for a little while and will be back later. a basis for a question posed by another that may never occur to me or he offers answers that I would have never found. It is always like this: a finding forms a basis for another finding. It is only when you have experienced or accepted something that you are able to go a step further and open a new door. This also holds true if you make a mistake. You must always be aware that you are merely on a journey. The theatre piece Hvað er í blýhólknum? 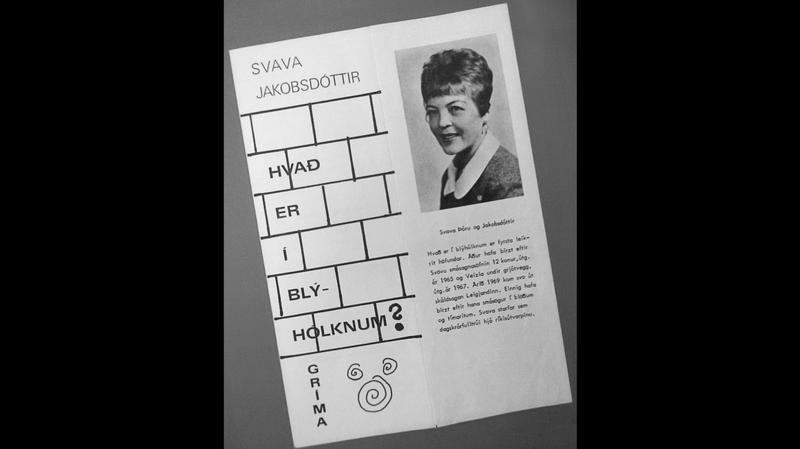 was written in 1970 by the Icelandic author and politician Svava Jakobsdóttir. Its original version hasn‘t been published or translated to any foreign language. The publisher Skrudda has published an edited version for television, in 2003. I have found out at the Women‘s History Archives that some of the original writings by Svava are kept at the National Library of Iceland, eventually, also this piece‘s script. Her writings hadn‘t been catalogued by then and could therefore not be viewed. I watched the TV production of the piece, equally directed by Maria Kristjansdóttir, at the archive of the Icelandic National Broadcasting Service. During my stay at the The Association of Icelandic Visual Artists, I conceived a presentation as a reading and discussion that gathered four guests with diverse backgrounds in literature, theatre and politics. 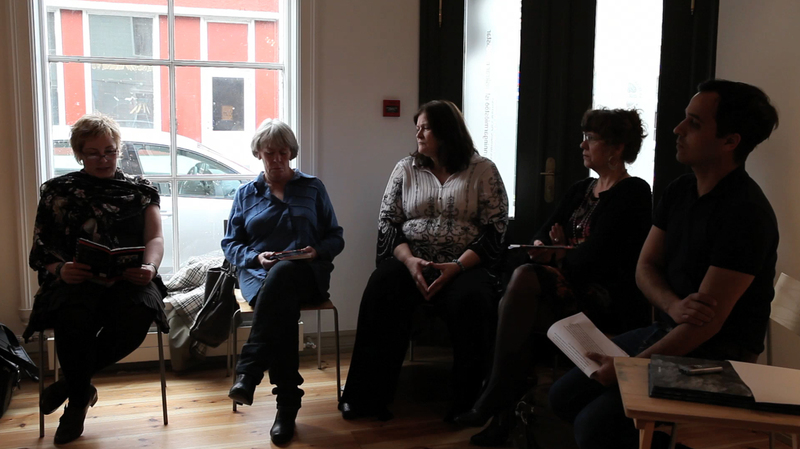 The event began with the reading of an excerpt of the piece by Guðlaug Rún Margeirsdóttir. The guests discussed theatre practices during the 60‘s and 70‘s and the women‘s movement in the country. Þórhildur Þorleifsdóttir has been a practitioner in theatre and politics since then. She mentioned the raise of awareness for women‘s rights as being itself one of the most important aspects of that time. Margrét Steinarsdóttir is the director of the Icelandic Human Rights Center and has gathered experience in lawmaking. Kolbrún Halldórsdóttir speaks of how Svava Jakobsdóttir appropriates diverse texts in the piece. She sees a new production with circumspection. Instead, she proposes that a work group takes Hvað er í blýhólknum? as a platform for a performance piece emerging from within its own contemporary social circumstances. Guðlaug: […] The principal says: Oh, not anymore, not anymore. The women have taken care of that. Do you know that more of the half of primary school teachers are women? And now they have started talking about that this is a very undesirable development. That the upbringing of children will be too one-sided. The mother at home, the teacher here. I do believe that this is an opinion that has the right to exist but we cannot start by making a big effort to get all the men to come here when the salaries are as low as they actually are. But if you have the courage to go out to the countryside,.. oh, yes, they need some teachers there. Excerpt from Hvað er í blýhólknum? by Svava Jakobsdóttir. Þegar leikurinn hefst er kastljósi varpað á snyrtilega, fremur þreytulega, u. þ. b. 33 ára gamla konu, sem stendur við afgreiðslu í banka. Hún hefur verið að enda við að afgreiða viðskiptavin og horfir af athygli á eftir viðskiptavinum ganga út. Ef sá viðskiptavinur sést, þá er það kona í 1. flokks tízkuklæðnaði. vera með, þegar þeir voru að semja við útlendingana og hann tapaði aldeilis ekki á því, maðurinn hennar. … Það er ekki verið að launa manni það, … ég veit svo sem ekki í hvað ég ætti að fara, þó svo ólíklega vildi til, að mér yrði boðið eitthvað. Ég. Ég á ekki lengur svoleiðis föt. Ég á nógu örðugt með að halda mér sómasamlega til fara hér í vinnunni, ég meina, eitthvert haldreipi verður maður þó að hafa. Maður verður þó, þrátt fyrir allt, að halda virðingu sinni. Því ég er í rauninni ekki venjuleg afgreiðslustúlka í banka. Ég bara lenti hér. Ég hef ekki staðið hér alla ævina, ef þið haldið það … Eiginlega er ég forstjórafrú og kann ekki að vera annað, kann ekki við að vera annað, ætlaði mér aldrei að vera annað en forstjórafrú … Eða ætlaði ég mér það? Ljósin dofna og slokkna. Þegar þau kvikna á ný, sést sandkassi á sviðinu, þar sem lítil stúlka er að leika sér með bíl. Kona gengur famhjá og stanzar. During a stay in Dakar, I have daily walked the road along the coast behind the presidential palace. On a certain day, I sat by the water looking over the bay and the city hotels. I noticed a young man reading from a notebook. I, later, aproached him and found out that he is one of the watchman of the presidential palace. On his school notebook, one can read dictates on history, art history and philosophy. This film describes the first afternoon, when I talked to Cissé. In the foreground is a piece of wooden architecture. It stands over the water, reminiscent of a Victorian walkway. The patterns, of a much simpler nature, resemble those of a garden trellis. It is placed at the end of a house’s terrace. The house has a painted black and white diamond pattern on the façade. It is abandoned. 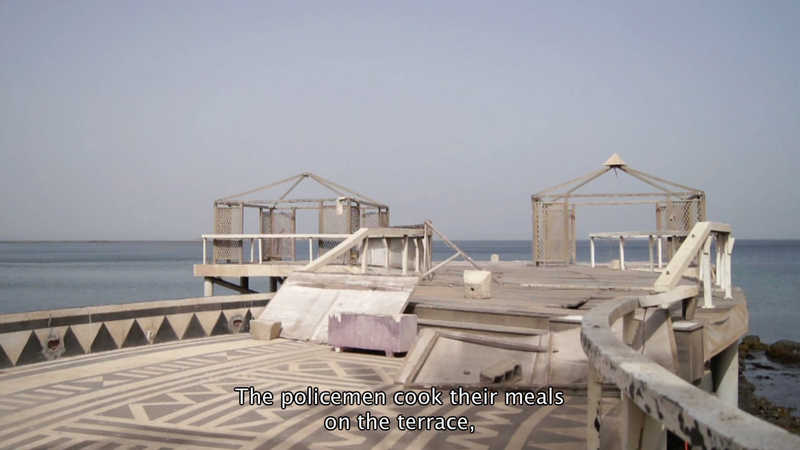 The policemen cook their meals on the terrace, using the wall to protect the fire from the wind. They share a large metal bowl. They wash their spoons in the seawater and keep them in the pockets of their uniforms. I arrive at the site on a Sunday afternoon. It is right behind the gardens of the Presidential Palace, where a road winds along the coast. Where the police park is shady. Inside the van are three men. Two of them sit in the back, stretching their legs over the front seats. Right outside the car there is a small stove, where they cook tea. I pass by to descend the slope and reach the water. The stairs are made of wooden boards placed vertically into the ground. Two other men sit on the rocks by the water. They do not wear uniform. It is low tide and the sea is calm. While looking at the wooden walkway, with the city in background, I notice a young man reading from a notebook. He is wearing a police uniform. He also sat on the rocks, sometimes reading, and sometimes swinging his legs while listening to a small transistor radio. He was listening to a news station, now and then interrupted by music. without getting any closer at the bottom of the page. All the titles, some of the keywords and most relevant names are written in red ink. We sit and talk about the places we come from. 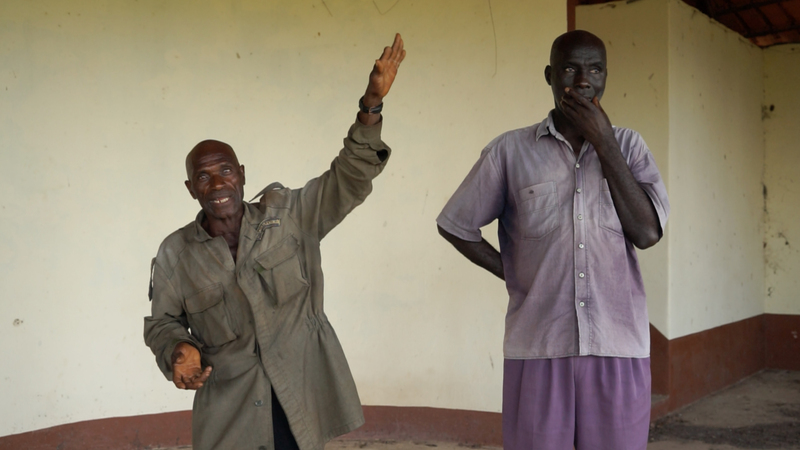 The other policemen, who have now joined us, interrupt our conversation to say that Cissé has actually taken part in the conflict in Casamance. In fact, they rush to tease him, by accusing him of taking the side of the Central Government. The moment is tense and the loud voices make me lose the thread of the conversation, conducted in a mix of French and Wolof. Cissé vaguely describes to me in Portuguese and Spanish what they are talking about. I wonder about their sense of humour, about Cissé leaving Casamance, coming to live in Dakar and becoming a policeman. I wonder how these young men joke about an ongoing armed conflict. City Palace is an interview with Raed El Rafei, Beirut-based filmmaker and journalist. It took place in the TV studios in front of the former film theatre City Palace, commonly also known as egg building. Raed El Rafei tells about his experience in the building, used as an alternative space for night clubs after the Lebanese Civil War. He speaks of the reconstruction in downtown Beirut and the meaning carried by the egg building in the development of the city. Cinema in the 60’s and 70’s often refers to the modern city, such as Beirut at the time before the war. 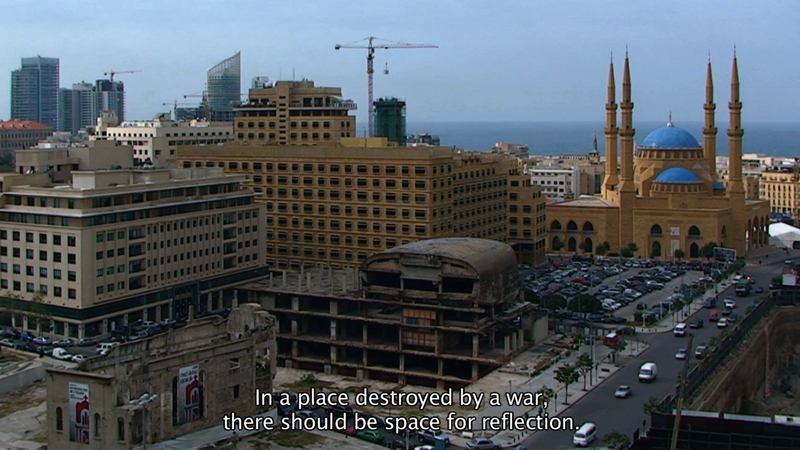 Rafei gathers cinema and architecture as departing points for a reflection on Beirut’s history. I was trying to remember the first time that I saw the egg building. Shortly, after the war ended, I came to Beirut with my mother. We took a walk in downtown and I remember it being totally destroyed. My first memory dates of 2002 or sometime around that: I had just returned from the Netherlands. Some sort of rave party was announced to take place in the building. It was a great space to dance. It reminded me very much of the parties in Rotterdam, in the old factory buildings. I remember dancing until the morning in that incredible place. Everybody experienced a total bliss by being there. At the time, Beirut was trying to be a party city. The cinema was an unusual place, outside of the regular clubs, the main-stream party scene. That was very special for us. The other interesting thing was that you were in some sort of relic from the past, from the period before the war. That place had an historical note to it and, at the same time, for a night, it was the future. remained the same. There is a sense of evolution happening around it but not in the building itself. There is a feeling of transition. In a place destroyed by such an event like a war, there should be space for reflection. There should be space for people to reflect on what happened and foster understanding. I think that in Beirut this did not happen because the reconstruction started very fast. It was done in a way that did not take in consideration the general public: what people really wanted. People did not have a say about how our city centre should develop. Beirut, as a city that suffered during 15 years, should make it tangible in itself. It should be apparent that this is not a regular city, that this is a city where hundreds of thousands of people died. Maybe leaving this building as it is, will send a clear message about what Beirut has gone through. What we are seeing today is a wipe out of this memory, which creates a total fake. I think this is a terrible idea but, as a citizen, I don’t have a say in all this. The egg building stands for the direction that Beirut was taking, as a city, and was abruptly interrupted by the war. It embodies the essence of what Beirut was moving towards to. It was a very modern city, at the time: there was an intense intellectual and artistic activity going on. The egg building is a place that could embody all this, although it is filled with bruises. The scars of the war are very much clear and they turn it into an ugly structure. A structure that bears a memory of something horrible. At the same time, by making a leap between the periods before and after the war, resilience falls upon us, which is very human. To move on, to get over it, to link the time before with the time after and get over the hard time in between. I think a lot of Lebanese think along the same line. One of the visions that I think would make us feel at ease with our violent past is to leave something suspended, as in between. In other words, it means both: the purity of a structure that stands for a modern city and its marks of violence. 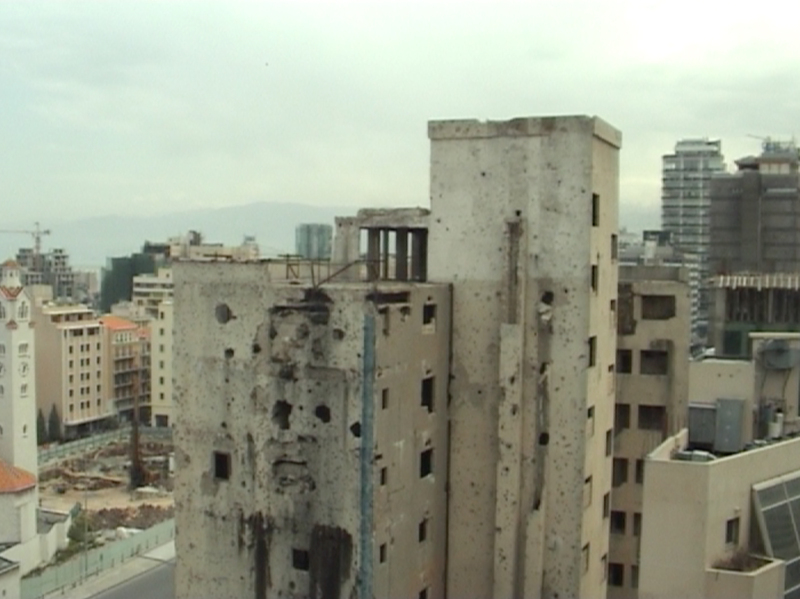 of an utopia: what film could have become in Beirut. The city has not yet become a capital for cinema. Cinema is such an essential way for us to reflect over our past in a meditative way, without boundaries. This place embodies what cinema could bring to us. Once you are inside the egg-building, you disconnect from the outside very easily because of the structure itself, its material and shape. My experience is that the outside ceases to exist, the outside becomes something different. When watched from inside, the city itself becomes a projection on a screen. Íslendingabók og Landnámabók was executed in Reykjavik and Berlin, where an interview with Eiríkur Sturla Ólafsson took place. The interview begins from the books that give title to the work and elaborates on questions around literature and national identity. Ólafsson describes the content and circumstances in which the books were written. He relates them to the archetype of Icelandic independence by looking at history and language. Through an insight into the main character Bjartur of Summerhouses from the book Independent People, by Haldór Laxness, Ólafsson questions those same national values. Íslendingabók is shorter and only 29 pages. Landnámabók is about 330 pages long. They were written between 1122 and 1133 by Ari, the Wise. He was a member of the clergy and, by then, established in Iceland. The books are about the first settlers in Iceland, who supposedly came to the country in the years between 870 and 874. This means the books were written, nearly, 300 years after the first settlements actually took place. Íslendingabók describes the first contacts of the Nordic people with the country, as being told via tales and other oral stories, but not in any written form. The fact that these reports have been documented only after the Church has been established in Iceland, may also be seen as a political strategy to document which person, who allegedly took on Christianity, has now settled. By doing so, the Church expects to keep its rights towards various parts of the country. A more romantic interpretation of the book sees it as the first opportunity that Icelandic clergymen had, to establish a national identity. The first settlers, coming mostly from Norway and the British Isles, were of foreign descent. Three centuries later, the language had been preserved in Iceland although it was developing in other parts of Northern Europe. That may be seen as the first attempt to authenticate a cultural identity through literature, because it hadn’t been much written about it, by then. Íslendingabók and Landnámabók are strictly reports. What distinguishes them from other sources is that they try to make the most out of specific sources. They try to evaluate these sources and question if they should be taken for granted or not. Íslendingabók tells about the first people, who came to Iceland but didn’t settle. It contains the only text in the books, written as a tale, and therefore not supported by any facts, about Irish monks. Íslendingabók is a story that tells about the Icelandic settlement, being the reasons for it mostly originated by the conflict with the Norwegian king, at the time, Harald I. It tries to describe what triggered people overseas, heading to Iceland, indeed, a very paranoid journey. Landnámabók is longer and written in more detail. It describes each settlement with a genealogical documentation, in a rather dry way, not caring about the reasons why people decided to move to Iceland, which dealt mostly with political discontentment towards the new king of Norway. At the time, Norway just became a kingdom. Before it was organised in a feudal structure of fjords. This is, in a way, how the myth of independent Icelandic people was born. Icelanders still look back to this moment in history to justify their independence, which is also one of the reasons why Iceland doesn’t want to join the European Union. Not until later. 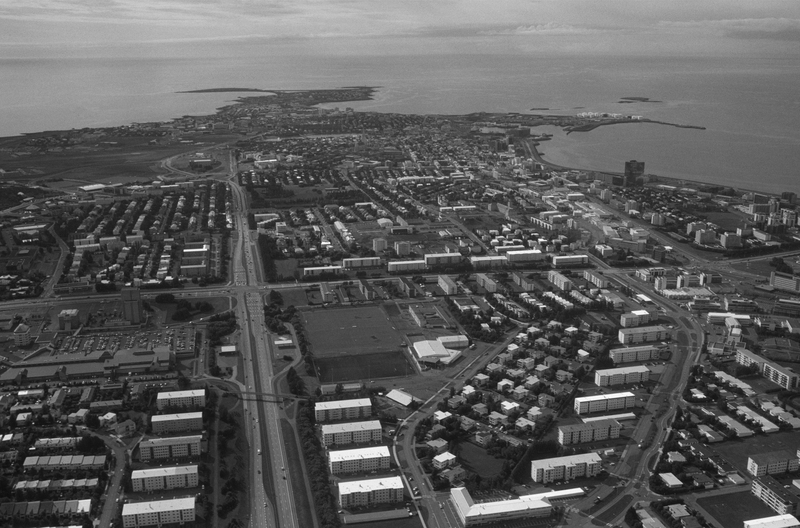 At the beginning of the settlement, Christianity hasn’t started to establish in Iceland. Only with the first christian kings in Norway, religion became a remarkable compromise between the kingdom and the people in Iceland. The settlers were, by then, allowed to believe in the hidden gods but should not manifest it in public. Christianity doesn’t become a major device of ruling until the Middle Ages, when most of Icelanders take on the Lutheran Church. At the time, the first disputes between Catholicism and Protestantism started. The first Icelandic Bishop was founded in 1056, which means 56 years after Christianity has officially started in Iceland. The second Bishop was established in 1106 and lead ultimately to tribe wars. One can discuss, whether it was religion as such, that triggered the disputes or if people would use religion as a power device to state their will. Icelandic nationality, as well. Icelanders define themselves, more than other nations, through language. Portuguese, for instances, is spoken in other countries like Brazil or Mozambique. It has, therefore, an international value, while Icelandic is spoken strictly in Iceland and a few villages in Canada, where a specific dialect developed, in response to the migration to the West, in the 19th Century. Icelanders are very much focused on their language and yet again through the language, they are proud of their alleged independence, which takes the form of poetry, not in the Landnámabók but, for example, in the Icelandic Sagas and Eddas. 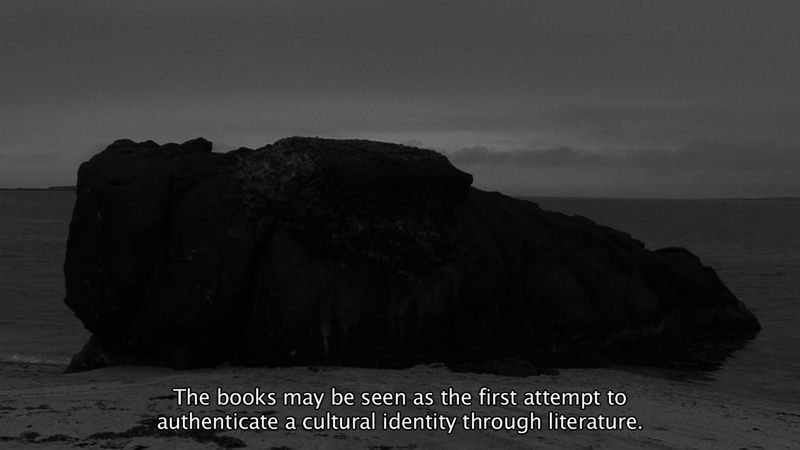 These forms of literature, along with the settlement, offer archetypes for the Icelandic independence.